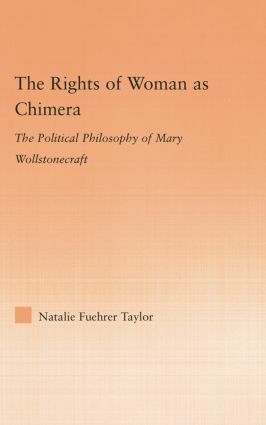 The Rights of Woman as Chimera examines Mary Wollstonecraft's intellectual relationship to Rousseau, Locke, and Aristotle. Although she learned much from each philosopher, her own thought cannot be said to be simply derivative of these thinkers. In considering "the woman question," Wollstonecraft levels important, but friendly, critiques of her male predecessors. She puts forth a conception of the nature of woman, which is informed by and consistent with her larger political philosophy, and this study endeavors to outline this conception of the nature of woman.